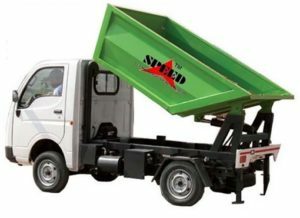 Tipper Placer can be used for door to door collection of Garbage. The design of the tipping hopper is in such a manner that the garbage can be unloaded directly into the Refuse Compactor or the existing secondary storage containers without any spillage. This Garbage Tipper Truck are manufactured using high grade material sourced by our vendors. The product is appreciated for its robust design, easy operation and high durability. Our reputed clients can avail the product in wide assortment and affordable range so as to meet the growing demand of our clients.